The Collaborative Care Model has been shown to improve patient outcomes, save money, and reduce stigma related to mental health. This integration between physical and mental healthcare is something of a touchstone for modern healthcare. In addition to the previously mentioned benefits, there are areas of significant improvement for both providers and patients who rely on the model. For healthcare professionals, collaborative care has a number of perks. Collaborative care empowers team members. Until recently, many medical environments lifted up the leading physician as the head honcho. Placed in this quarterback-like position, the physician was in charge of most major decisions surrounding patient treatment and care. But under a collaborative care plan, other members of a care team—like nurses, radiologists, EMTs, social workers, etc.—are empowered and encouraged to offer recommendations when it comes to a joint patient’s care. Collaborative care helps close communication gaps. When healthcare providers work independently at different facilities or departments, it’s all too easy for vital information regarding a patient’s care to get lost in translation. But when all medical professionals are working in tandem to provide patient care, the communication gaps are lessened. Through personal interaction between providers, collaborating on ideas on how to improve a patient’s treatment, and maintaining continuity of care, communication flows smoothly thanks to collaborative care. Collaborative care minimizes readmission rates. With team members working together to provide more comprehensive, fleshed-out care, the chances of misdiagnosis drop drastically. A properly diagnosed patient is much less likely to have to be readmitted for further treatment, which saves providers valuable time and the patients themselves money. Collaborative care promotes teamwork—and a team mentality. Not only does collaborative care enable team members to have more of a hand in a patient’s care, but it also allows them to provide support to each other while doing so. Expecting one team member to pull all the weight of a patient’s care is both overwhelming and exhausting—collaborative care instead divvies out responsibility equally amongst all of the members. Through this, the separation between the different disciplines are broken down, and team morale and comradery goes up. Collaborative care results in patient-centered care. With all members of a care team able to equally contribute to both their joint patient’s care and the overall workload, the patient truly shines as the unifying cause for care. Instead of individuals shuffling the patient to and fro throughout treatment, the patient instead has a team at their side from the start, working together to provide lasting, effective care. On a financial front, collaborative care has proven to be beneficial as well. Studies of medical cost offset involving collaborative care has been ongoing for the past 35 years—and the results are clear. Well-designed combined behavioral and physical have been shown to save anywhere from 20 to 40 percent of previous expenditures—and that’s just for providers. Patients, too, reap benefits from collaborative care. Collaborative care leads to better pre and post-surgery results. According to the American Psychological Association, psychological care in coordination with physical care pre and post-surgery can lessen patient anxiety, reduce complications related to surgery and recovery, as well as lessening the need for postoperative pain medication. These improvements can in turn lead to faster recovery times, allowing patients to return to full health and daily functions quicker. Collaborative care helps identify mental health issues before they become severe. 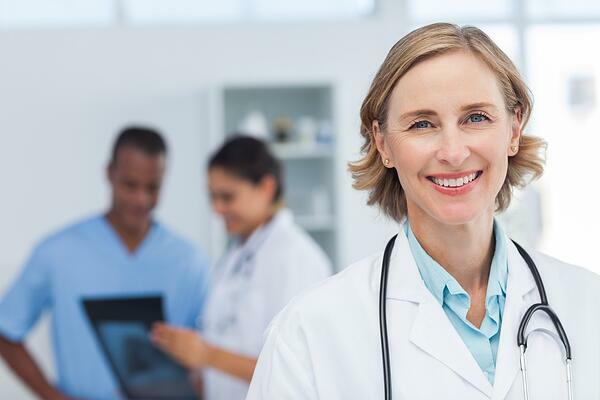 Current estimates indicate that roughly 60 percent of patients visit their primary care physician for mental health issues—which most general physicians are not qualified to diagnose nor treat. With a collaborative care plan in place, a metal health provider is available to patients at the very beginning of their treatment. This availability can help decrease unnecessary or unhelpful medical treatments, and instead ensures that patients receive the type of care they truly need. Collaborative care reduces overall costs of medical care. For patients, the cost of medical care was shown to decrease in instances of collaborative care. Medicaid outpatients who frequently visited their physicians and received both physical and mental healthcare achieved a 21 percent reduction in medical costs after 18 months, while those who only received physical care had a 22 percent increase in their use of medical services. Collaborative care clearly not only cuts down on cost, but on time spent at a healthcare provider’s office as well. By providing care across disciplines, the overall quality of care given and care received only improves. Take a more in-depth look at all of the benefits of collaborative care in our whitepaper, Collaborative Care: The Marriage of Physical and Mental Healthcare.